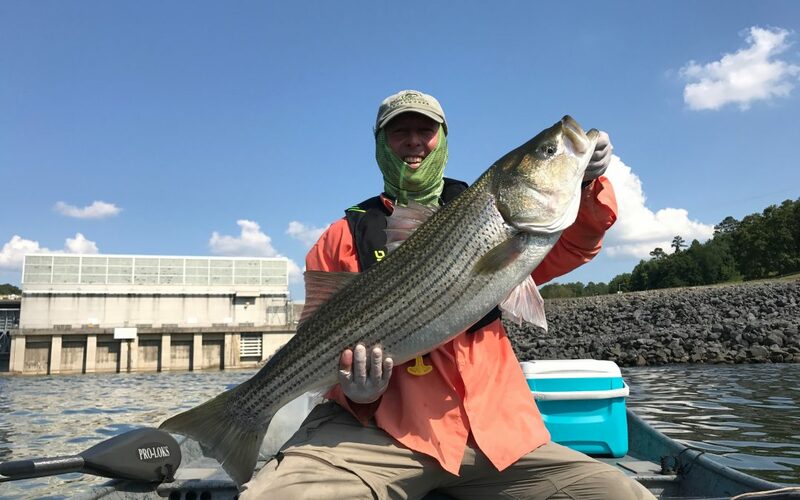 Another trip to Melton Hill Dam to fish for stripers in the heat of the day. I managed to catch six fish that averaged around thirteen pounds. The biggest fish pictured above weighed twenty-three and half pounds and was thirty-seven and half inches long.